A controversial goalie interference call may have cost the Bruins a chance at winning Game 5. Several professional netminders weighed in on the decision. 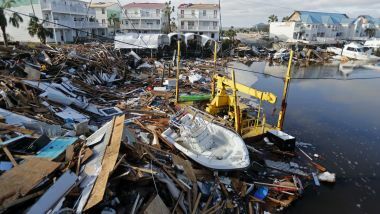 MIAMI (AP) - Hurricane Michael, which devastated a swath of the Florida Panhandle last fall, has been upgraded to a Category 5 storm, only the fourth to make recorded landfall in the United States and the first since 1992.